The Sleepers Van is a one-room van (3 x 7 metres). Once a railway worker’s van it was originally designed to sleep and house workers who repaired railway tracks around Victoria. It is now fitted out with modern amenities – luxurious linen and electric blanket, electric heating, flat screen TV and DVD, sound dock system, microwave and other kitchen equipment. *No fuel or wood fired heating available in this van. The van can accommodate one couple or a single person and is not set up for children. 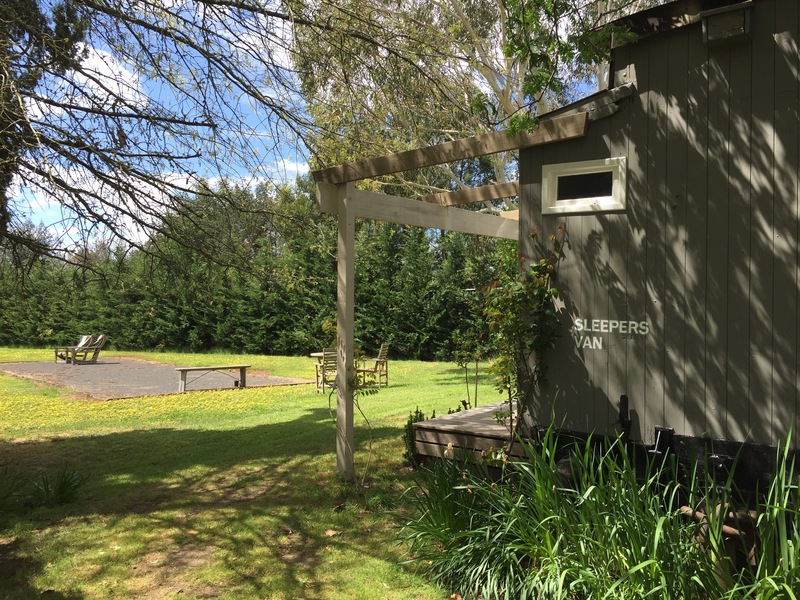 Glampers in the Sleepers Van have their own designated shower room and basin, as well as their own toilet facilities. Showers and toilets are in two separate buildings and only a short walk from the Van. 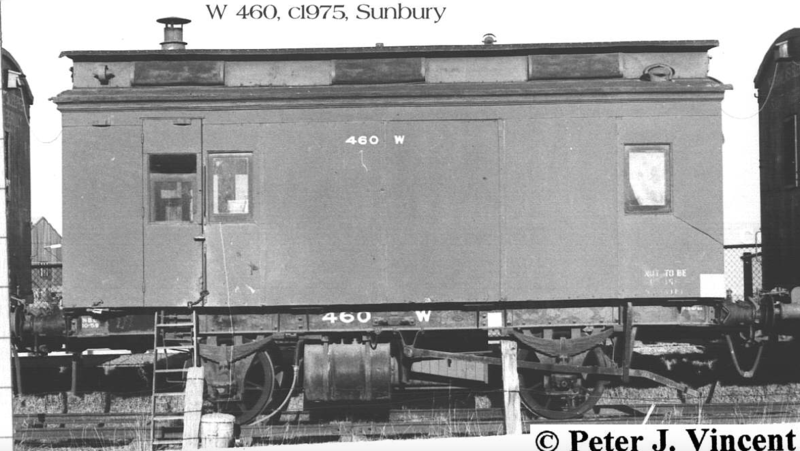 For the train enthusiasts – W Class’ vans were used to provide sleeping accommodation for workers who moved from location to location working on various projects. These vans were usually converted from old passenger cars that were beyond their normal lifespan. Our Sleepers Van was originally built in 1901 (as 59 ABAB) and was a first and second class compartment carriage. It was renumbered as carriage 57 AB in 1910. It was written off in 1959 and a section was chopped from the carriage to create 460W (now our Sleepers Van), which is shown in a 1975 photo (by Peter Vincent). * Due to demands for weddings and other functions we have temporarily closed our accommodation booking calendar on this site. However, if you want to stay at Hedge Farm and have a date in mind, please make an enquiry and we will let you know of availability. The following is included in our rates when you book a glamping getaway at Hedge Farm. 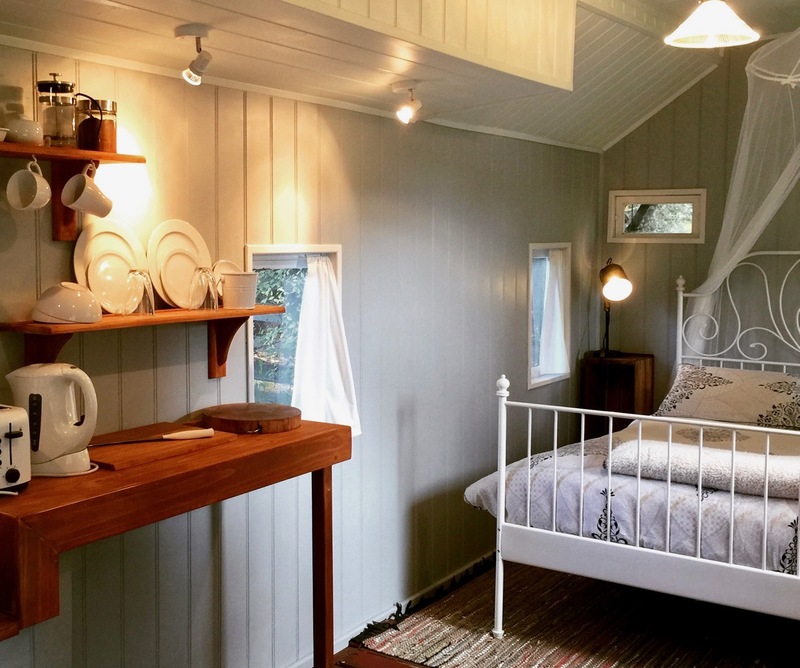 All guests will have access to their private van, BBQ area, and their own toilet and shower facilities (both housed in separate buildings a short walk from the vans). Pack your own personal clothing and toiletries, hat, sunscreen, insect spray (we want you to enjoy the outdoors) some food and drink. We also have a bar on site. We live in a cool climate so in winter-time please bring suitable clothing and gear to keep warm and dry. For that special escape book one of our unique railway vans. Once experienced you will definitely want to come back. Minimum 2 nights stay for weekends. We can offer a one night stay option on Weekends – as a ‘Last Minute’ booking offer (if our van is not booked by the Wednesday preceding). Please inquire about this option. Notification of arrival time is required. Check in time is between 2pm – 9pm and checkout before 11am.